Don't see these too often...probably because of their huge size and impracticality. 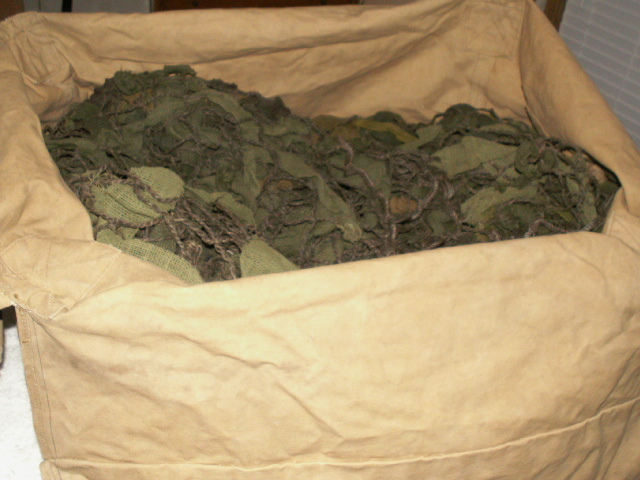 I was looking for a bag to store my recently acquired camo net and dug this one out...turns out I would need two nets to fill this thing so I decided to snap some pics of it while it was out, then put it back into storage. 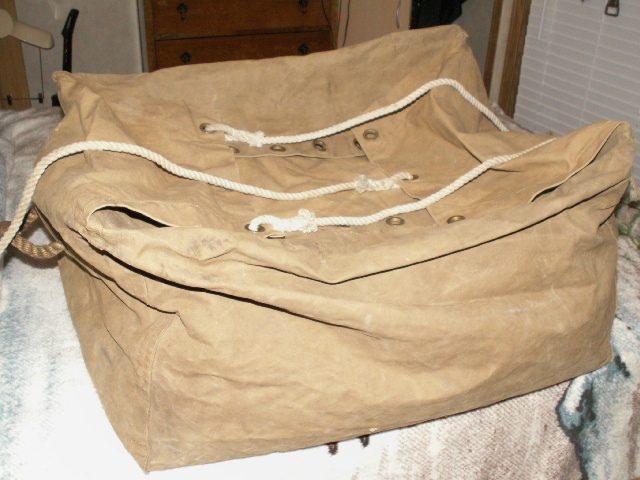 Roughly measures 31 x 24 x 19 inches and has a system of tying it closed that I haven't quite figured out yet. 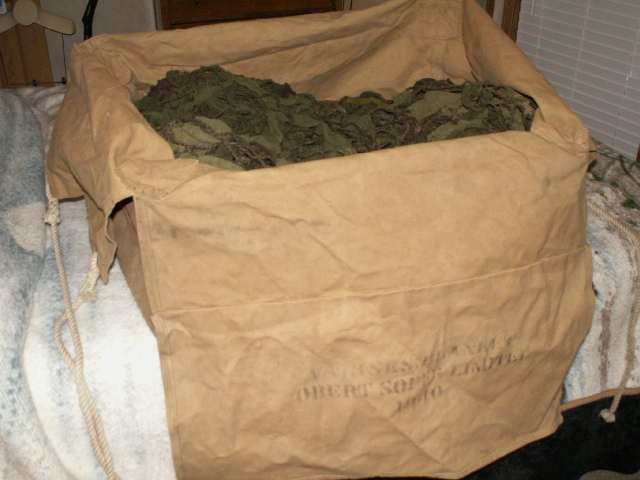 We used something similar when I was in battle school to do our weekly bedding exchange. 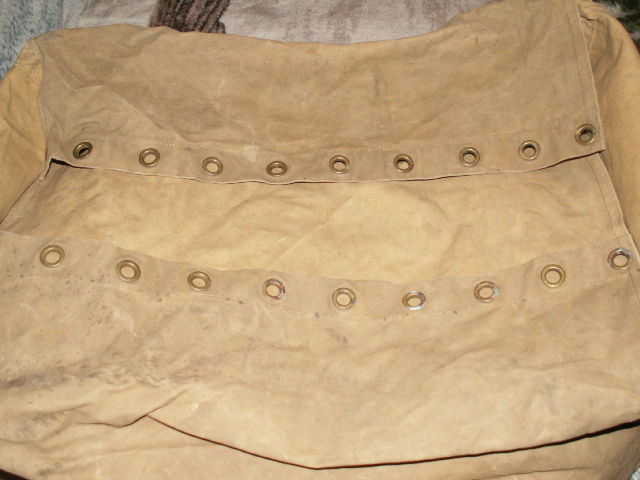 There was a cord attached at one end grommet and then the cord was fed back and forth through the other grommets until you reached the other end and then tied the cord to it self. The valise is quite large and when full it was rather heavy for sure. Interesting that some mundane items such as this have remained in service for so long. 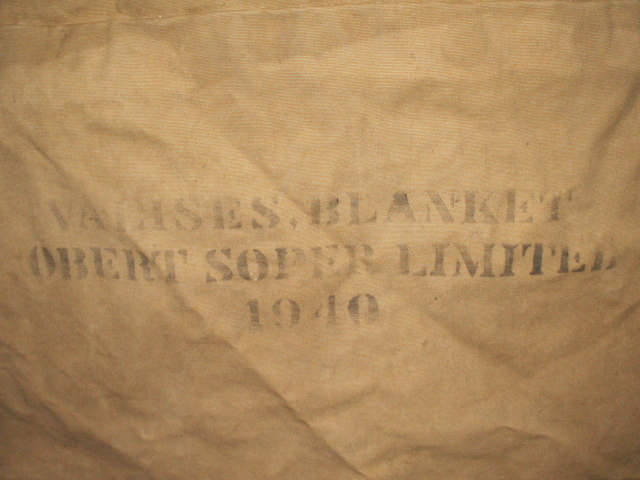 You can still find WW2 vintage wool blankets mixed in with 50's era and later blankets still in service too. I now use it to store my patio furniture cushions when the weather goes south...needless to say, the cushions have been packed in it for a while. It is sunny today though.